was fun snorkeling and riding the speed boat. Sofia was very kind and very active and helpful taking many photos for our group. Check out Cham Islands in this exciting day tour! 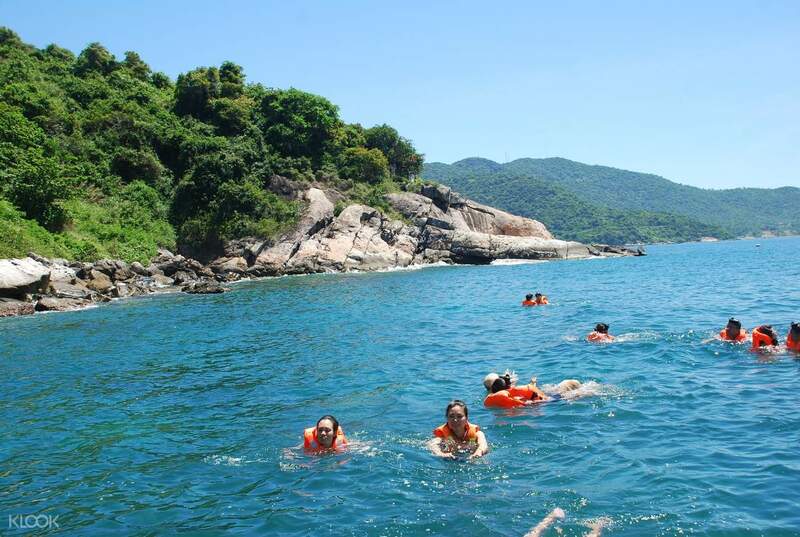 Tour its 8 small islands and learn how it became part of the Cu Lao Cham Marine Park, a UNESCO World Biosphere Reserve. This tourist spot favorite is known for its beautiful granite islands and stunning cerulean seas. 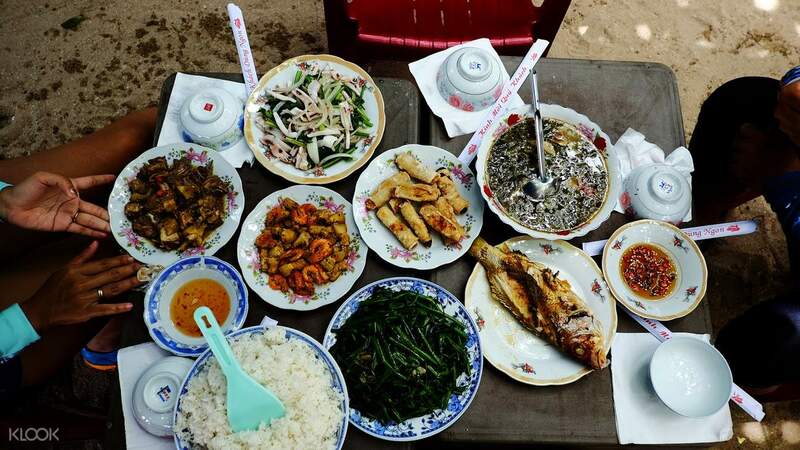 Start the tour with a pick up from your hotel, which will then take you to Cua Dai Quay. From there, climb aboard a speedboat and enjoy cruising along Cham Islands' natural attractions. 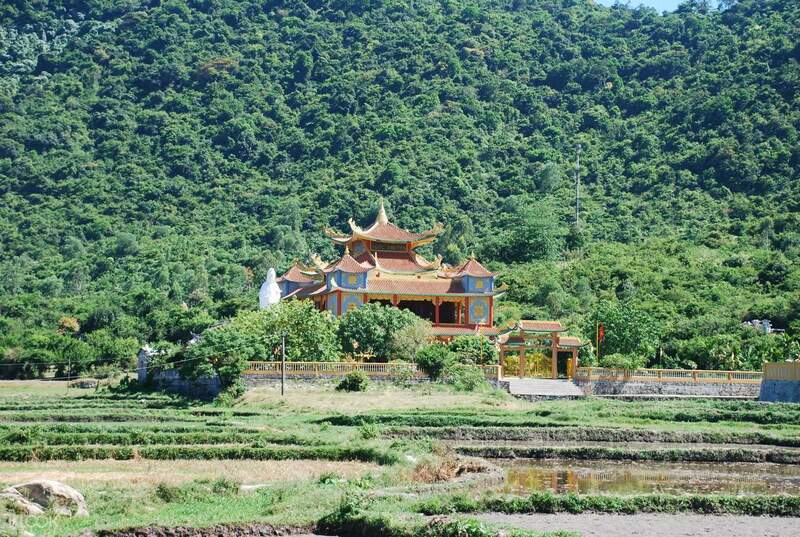 Visit Au Thuyen, Hai Tang Pagoda, and Ong Temple with your English-speaking guide. 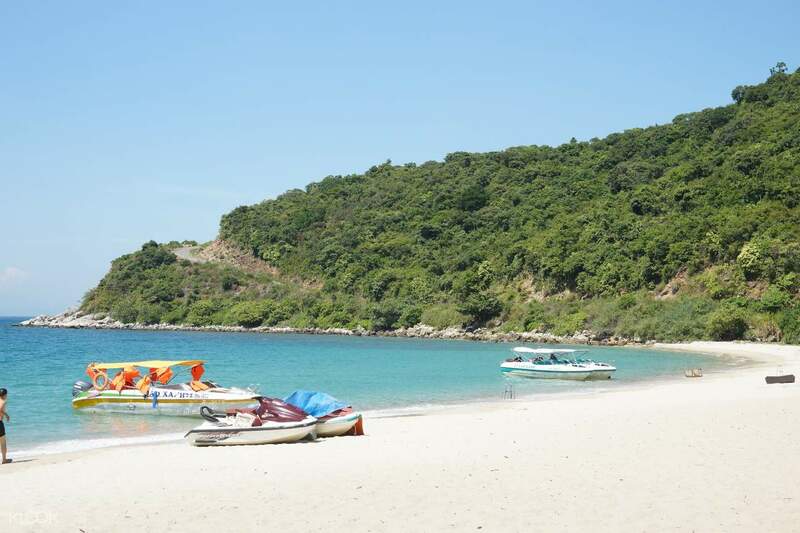 Next, visit Huong Beach for a dip in the cool sea. See the rich marine life below and get to encounter abundant coral reefs up close. For the last part of your tour, lounge by Ong Beach and spend your free time sunbathing, swimming, or snorkeling. Spend the remaining hour munching on delicious seafood and local delights. End the tour with a ride back to your hotel. This was a beautiful island, amazing beach. I didn’t go snorkelling but heard it was amazing. The sightseeing of the island was good but not really much to see, I thought we might island hop to view the other islands but we stayed on the main one. Food was good a lot for one person. Tour guide ‘Long’ was apologetic for his English skills however he did really well just lacking confidence, luckily there was a lady on the tour who was more than happy to help him translate I think this made him feel a little better, he did a good job. However, only downside was the speed boat ride, I was wary we had a baby on board (2year old) and seemed like no lifejacket was available for her. The driver was going quite fast for how choppy the sea was on both ways to and from the island. I’d say this is something that would need to be reviewed. Hotel pickup was on time driver was pleasant and punctual, we ended up behind on time because some people weren’t ready when we arrived to collect them. This was a beautiful island, amazing beach. I didn’t go snorkelling but heard it was amazing. The sightseeing of the island was good but not really much to see, I thought we might island hop to view the other islands but we stayed on the main one. Food was good a lot for one person. Tour guide ‘Long’ was apologetic for his English skills however he did really well just lacking confidence, luckily there was a lady on the tour who was more than happy to help him translate I think this made him feel a little better, he did a good job. However, only downside was the speed boat ride, I was wary we had a baby on board (2year old) and seemed like no lifejacket was available for her. The driver was going quite fast for how choppy the sea was on both ways to and from the island. I’d say this is something that would need to be reviewed. Hotel pickup was on time driver was pleasant and punctual, we ended up behind on time because some people weren’t ready when we arrived to collect them. was fun snorkeling and riding the speed boat. Sofia was very kind and very active and helpful taking many photos for our group. was fun snorkeling and riding the speed boat. Sofia was very kind and very active and helpful taking many photos for our group. Tour guide is very professional. She gave us a lot of info about Cham Island. She is also very caring. Tour guide is very professional. She gave us a lot of info about Cham Island. She is also very caring. Great. We were in August, definitely worth to go and see this place. Highly recommend. Great. We were in August, definitely worth to go and see this place. Highly recommend. No fish no coral water not clear. Snorkeling equipment old and rusty. I looked like one eye minion after wearing the goggles. Forced shopping tour. Rather to stay at Mykhe beach for whole day. Not worth at all. No fish no coral water not clear. Snorkeling equipment old and rusty. I looked like one eye minion after wearing the goggles. Forced shopping tour. Rather to stay at Mykhe beach for whole day. Not worth at all. It is not as fun as expected. There is no fish at all at the snorkeling site. The given life jacket is not proper for snorkeling and the goggles is not proper as well. Although the tour guide is very friendly, the tour is worth with this price. It is not as fun as expected. There is no fish at all at the snorkeling site. The given life jacket is not proper for snorkeling and the goggles is not proper as well. Although the tour guide is very friendly, the tour is worth with this price. Guide was very nice and helpful. Snorkel equipment was very old and mildewed and snorkelling was bad- did not see one fish or creature. Food at lunch was barely edible and we saw a rat run through the restauarant. Tour ended early because there were not enough chairs on the beach. Guide was very nice and helpful. Snorkel equipment was very old and mildewed and snorkelling was bad- did not see one fish or creature. Food at lunch was barely edible and we saw a rat run through the restauarant. Tour ended early because there were not enough chairs on the beach. poor experience, bad service with delay pickup. And need visit souvenir shops. poor experience, bad service with delay pickup. And need visit souvenir shops.